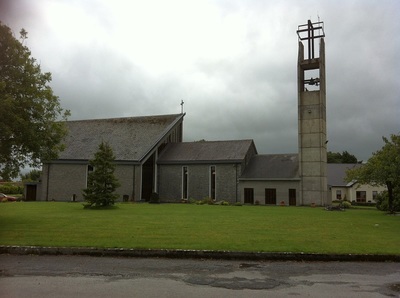 We are located in the village of Lackagh, Turloughmore, Co.Galway which is situated on the N63, twelve miles NE of Galway city. 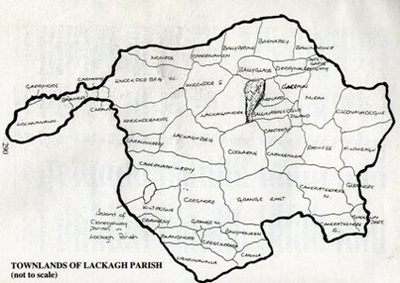 Our website gives an overview of the rich heritage of the parish of Lackagh. If you have a local story, some interesting artefact or can enlighten us further in relation to any of the material on this website, then we would love to hear from you. such as the faction fighting! Opening Hours: Monday to Friday, 10am-4pm. We also host Primary school tours and visits from groups including historical and heritage societies. 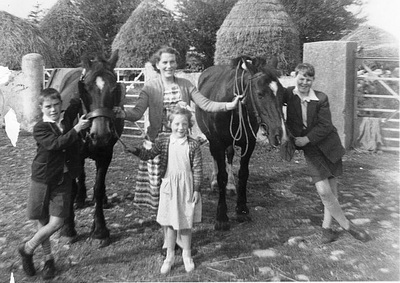 We will be delighted to tell you all about the cottage and show how the horse played such an important role in the lives of local farm families. ​Contact us for more details or find out more at the link below. We look forward to seeing you! You can support the upkeep of our cottage and museum by particapating in our weekly lotto draw which takes place every Wednesday evening. Tickets can be purchased in Flynns of Lackagh and at the museum for just €1 per entry per week. Just pick 4 numbers between 1 and 28 inclusive and for a once off payment of just €50 for 12 months or €25 for 6 months or €10 for 10 weeks, your chosen numbers will be automatically entered into our weekly draw. ​We notify all jackpot, match 3 and lucky dip winners the following day. Check on our facebook page for the winning numbers drawn or click on the Twitter symbol above. Our lotto, which is fully licenced, currently has a jackpot of just over €4,400. If more than one person selects all 4 numbers drawn, the jackpot is shared. Match 3 winners share a prize of €100. Two "Lucky Dip" tickets are drawn from the lotto drum if there are no Match 3 winners and both winners will receive €25 each. 1. Select either 10 weeks, 26 weeks or 52 weeks duration from the drop down menu. 2. Enter 4 different numbers between 1 and 28 inclusive with a hyphen between each number. For Example, if you wish to pick the numbers 15,17,22 and 25 then enter 15-17-22-25 in the text box. 4. We will acknowledge your entry by email. Lackagh Museum and Community Development Association launched their latest book, ‘Turloughmore Dispensary’ in the Parish Centre on Saturday, 2nd June at a well attended ceremony performed by Jarlath McDonagh. Chairperson Gerry McDonagh thanked the attendance and emphasised the importance of continuing the work of local history preservation in Lackagh Parish. 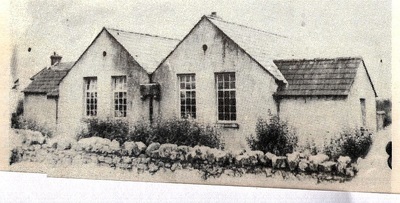 ​The book was written by Michael J. Hurley and documents the development of the primary medical service in this area of Co. Galway. 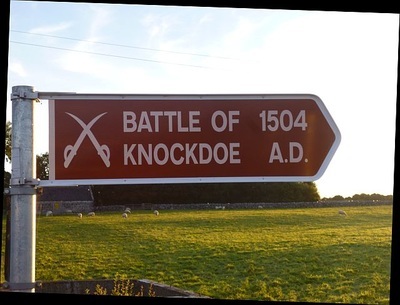 It tells the story of the health issues of the people and of the lives of the doctors and a Community Welfare Officer who served the people of Lackagh Parish since 1853. 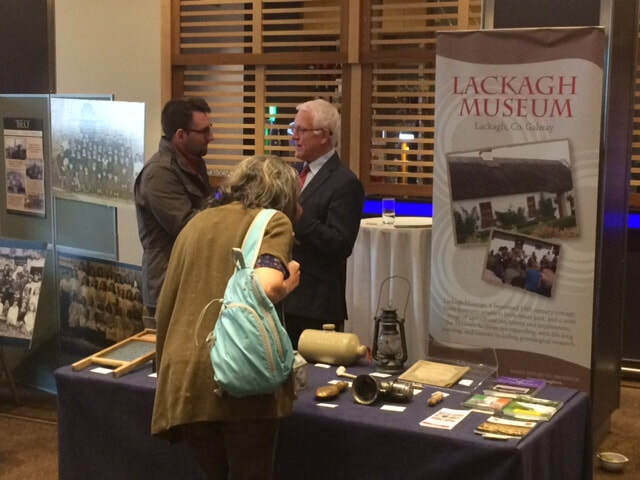 Lackagh Museum Committee gratefully acknowledges the assistance received from a generous local sponsor, and from all who gave assistance and information to Michael. Retailing at €8, the book is available at Flynn’s of Lackagh, Lackagh Post Office, Fahys of Turloughmore, and at Lackagh Cottage Museum. 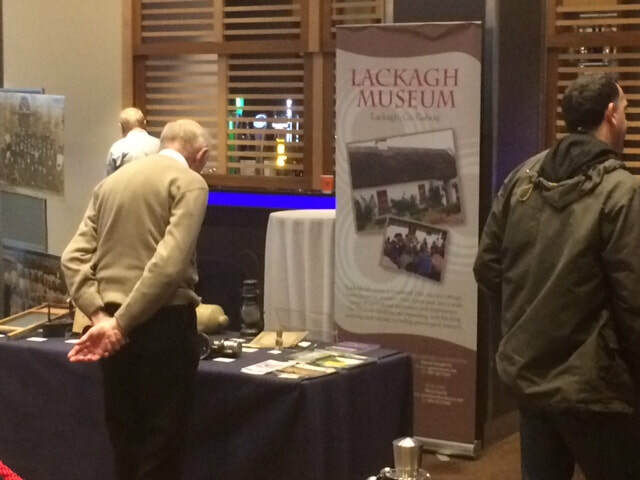 Lackagh Museum was delighted to have been invited to participate in the National Treasures public roadshow event on Sunday, 8th October, 2017 in the Raddisson Blu Hotel, Galway. 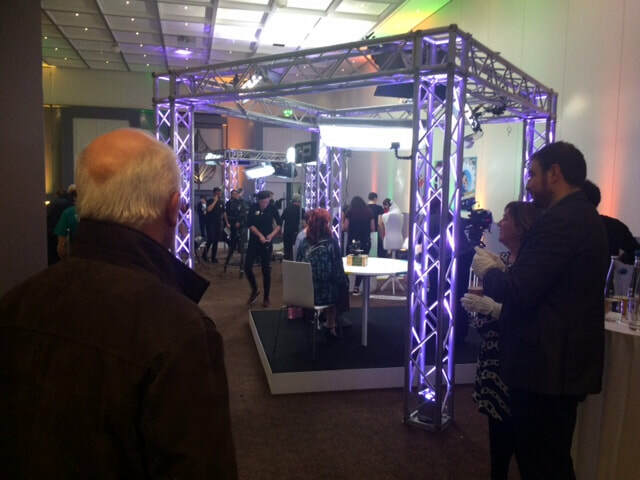 National Treasures is a project to crowd-source everyday objects that explore the history of the island of Ireland over the past 100 years.The project is a multi-platform campaign encompassing a website, four public roadshow events in October 2017, a four-part RTÉ television series in April 2018, followed by an exhibition in the National Museum of Ireland - Country Life, Turlough Park, Castlebar, Co. Mayo. In association with RTÉ, the National Museum of Ireland and the Broadcasting Authority of Ireland, people can participate in the creation of a digital archive of historical objects. If you have an object that reveals a fascinating part of our history, culture or heritage you can add it here. By collecting objects and revealing the fascinating stories behind them, the promoters want this project to form a unique crowd-sourced tapestry of modern Irish history, one that emphasises the voices of ordinary Irish people. 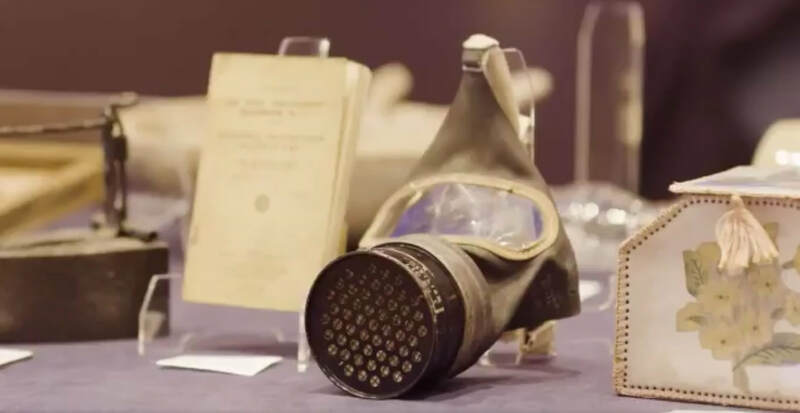 See if you can spot the gas mask from World War 2 on our stand in the RTE promo video by clicking on the twitter link underneath the photo! Former Lackagh NS Principal, Mr. Joe Collins launched our latest book, By the Banks of the Clare though the Parish of Lackagh, written by Michael J. Hurley on Saturday, 26th August, 2017 in the Knockdoe Room. ​The book provides a wonderful insight into this gentle waterway that meanders its way gracefully through our Parish townlands on its journey from Ballyhaunis, Co. Mayo to Lough Corrib. 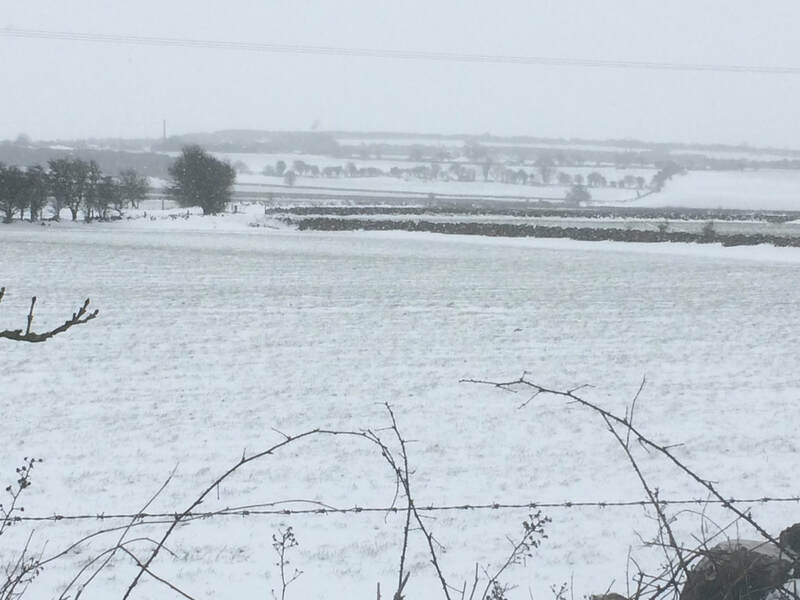 Michael J. tells of the drainage schemes of the 1800's and 1900's, the manmade heritage including its bridges and adjacent castles and of the rich biodiversity it supports. ​And there are anecdotes of times past including of course, tales of fishing and some illegal nocturnal activities! A view of the lovely Clare River as it flows through the parish of Lackagh Co. Galway on its way to Lough Corrib and the Atlantic Ocean. Lackagh Museum Committee was delighted to host a visit by members of Williamstown Heritage Society and their friends on 10th September as part of their Annual Tour. The group also visited Aughrim Visitor Centre, Dartfield Museum (near Loughrea), Athenry Castle as well as Claregalway Museum and Forge. The group was welcomed by their former Parish Priest for many years, Fr. Des Walsh and a very enjoyable afternoon was had by all. We look forward to making a trip to Williamstown in the not too distant future to see the great work they are doing. Click here to go to their very informative website. 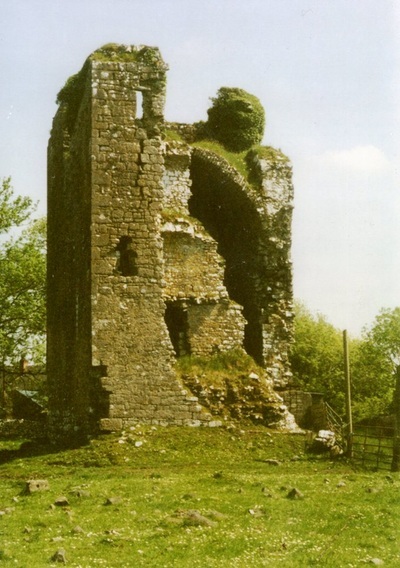 The Fair of Turloughmore was written by Michael J. Hurley to mark the 400th anniversary of the granting of a patent in August, 1616 by King James I for a fair in nearby Derrymacloughna. The book was launched on Saturday, 20th August at 8.30pm in the New Parish Centre, Lackagh by Joe Healy, IFA President. 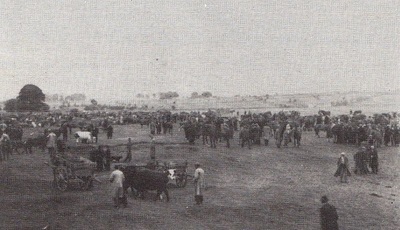 The Fair which was held twice yearly on Turloughmore Common had a colourful history and was an important event in the economic and social lives of local farm families. It attracted buyers of livestock from all parts of the country and rarely went without a mention in the Irish and British newspapers, sometimes for all the wrong reasons! ​The print edition of the The Fair of Turloughmore is now sold out. However, it can be downloaded for just $7.99 online. 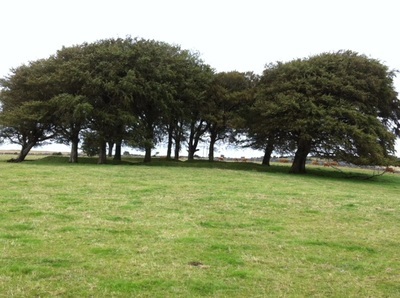 Michael J. Hurley talks about the Fair on the Turloughmore Common. Louise Denver met with Michael J. Hurley, Jarlath McDonagh and Frank Kearney to talk about the Fair of Turloughmore. 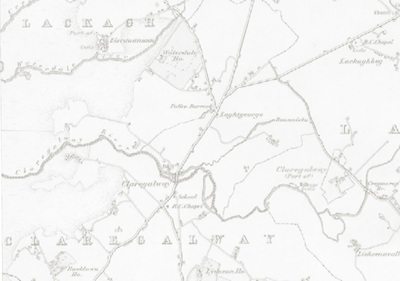 ​Expert mentors from the Western Family History Association will be available in the Lackagh Parish Centre on 20th August from 2pm to 5.30 pm.for individual consultations to advise members of the public on sources and strategies for tracing their family history. This free National Heritage week event is open to all, from beginners to advanced and no booking is required. Easter 1916 was a crucial event in the history of Ireland and Lackagh Museum has marked the centenary of the Rising with a CD featuring local singers and musicians to commemorate the event. Tracks include The Dawning of the Day by Sarah and Bernard McHale, The Foggy Dew by Eimear Higgins and Laurie Moran, James Connolly by Bertie O'Rourke, Grace by Grace Fahy and The Fair of Turloughmore by Sarah Hession. There are also a number of instrumental tunes from Lackagh Comhaltas Group, Irene Guckian and Rosina Joyce. The Proclamation is read by William Aherne. ​The initiative was spearheaded by Liam Rabbitte who did a superb job in putting the CD together. It is available at the Museum and Fahys Daybreak in Turloughmore for just €10. ​It can also be ordered online. On Sunday, 30th April Lackagh Museum hosted the Commemoration of the 1916 Rising in Lackagh parish. The day started with hurling matches in the Turloughmore GAA grounds followed by mass in Lackagh Church in memory of all those who died for their country. Musicians and Dancers from Lackagh Taste of Trad provided the entertainment and the museum was delighted to display the superb artwork created by pupils from the local primary schools. The event was addressed by Cllr. Peter Roche and members from the UN Veterans 30 at Liam Mellows, Barracks, Galway presided over the flag raising ceremony and the reading of the proclamation. ​The Commemoration ceremony was also attended by members of the Cullinane and O’Hanlon families. 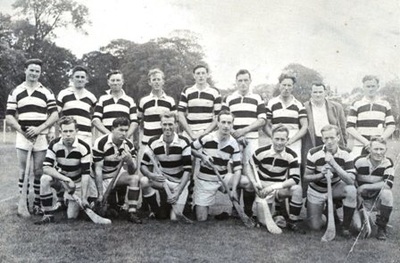 William Cullinane, a clerical student from Cahernashilleeny was shot on Bloody Sunday on his way back to All-Hallows College from Croke Park while John O’Hanlon was murdered by the Black and Tans at his home on the Lackagh Road in 1920. 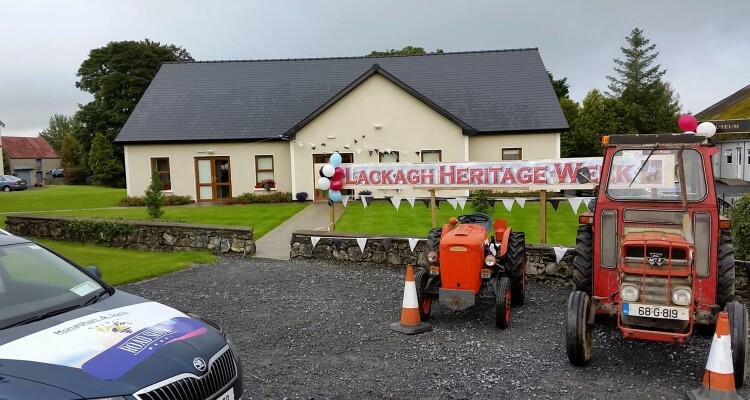 Listen to the Galway Bay FM Summer Roadshow from Lackagh Museum where Ollie was joined by a great bunch from the Lackagh and Turloughmore areas…..! We wish to thank Ms. Marie Mannion, Heritage Officer, Galway County Council for her ongoing guidance, advice and support.